Ready to tie the knot and in need of a professional wedding planner? MPCS has dedicated reliable and experienced wedding planners who are prepared and willing to make your wedding a memorable experience, “let us do it for you”. Well you have chosen the right company. 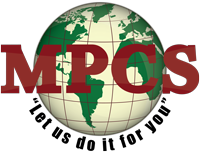 MPCS is a professional company which assists with the design, planning and management of client’s weddings.